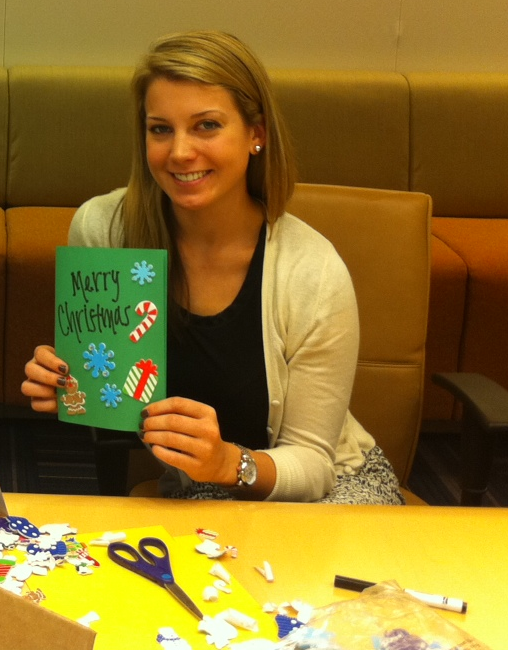 This volunteer helped to spread some holiday cheer and well wishes. She was able to make a difference in a child’s life and you can too! 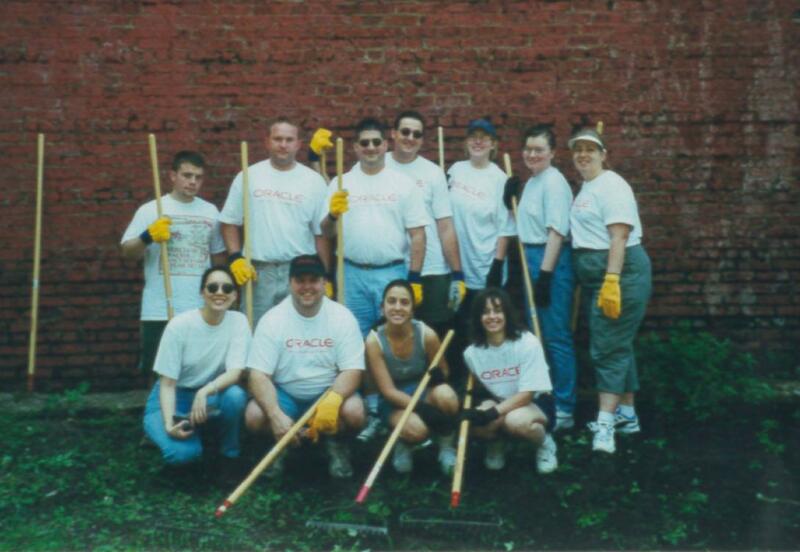 Volunteer with Jersey Cares today and change lives. Way Back Wednesday! 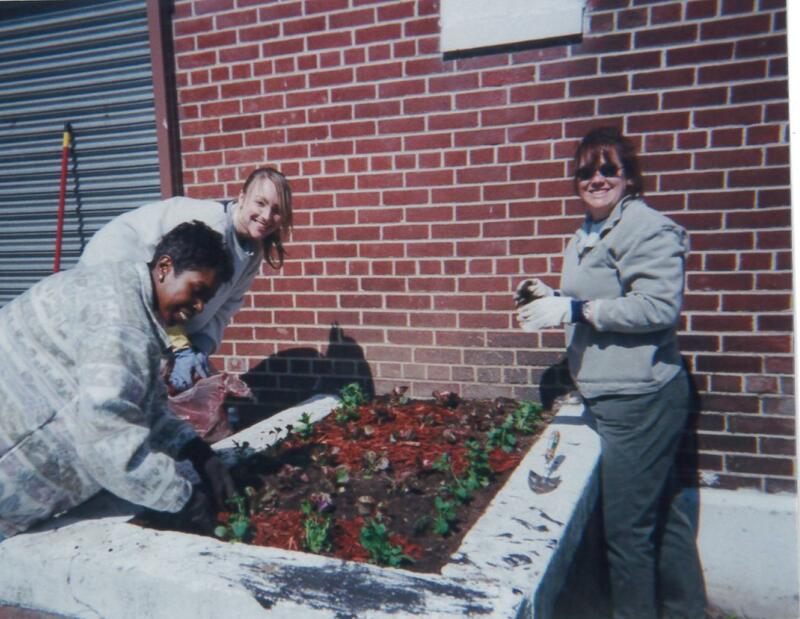 These ladies get into the gardening spirit while beautifying a local agency. Thanks for your help! This volunteer did a great job painting a mural that one of our talented mural artist designed. If you have artistic talent, sign up to be part of our mural artist program! This volunteer revamps a sidewalk outside of an agency. The children love to be able to go outside and play in colorful surroundings. We have some powerful volunteers here at Jersey Cares! Do you have a skill that you want to share with New Jersey? Sign up to be a skilled based volunteer! Our Home Depot volunteers are hard working and we love them for that! Thank you for your support and your amazing gardening skills. Way Back Wednesday! These volunteers were all smiles before they put together an entire playground. Although they were tired afterward, they knew they had made a difference in the lives of the children who would use it.